Slice n Pour was built to advertise the revolutionary cooking utensil. The website features a page where customers can order a Slice n Pour right from the website. Pioneer Media was hired to build and host this website, but the product is now only available on Amazon. Slice n Pour is a revolutionary new cooking utensil. 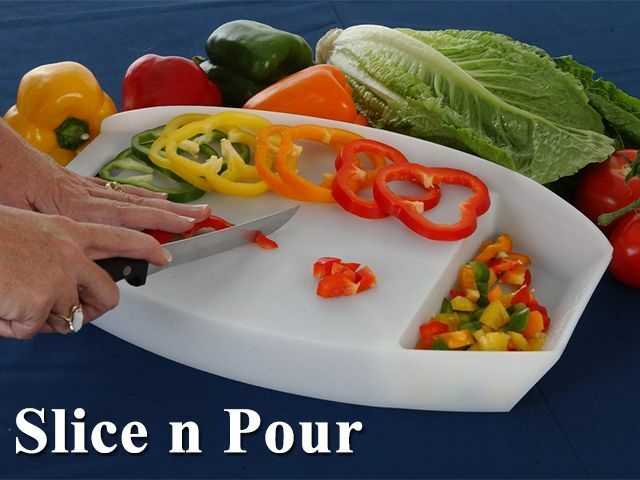 Slicing, measuring, and pouring food is easy with the innovative Slice n Pour cutting board. Its unique design incorporates a generous cutting surface that empties into a built-in measuring bowl. The Slice n Pour cutting board is a necessity for any and all kitchens.